The Lilliput AD801/4Gis a 7 inch open frame 16:9 LCD advertisement video system. 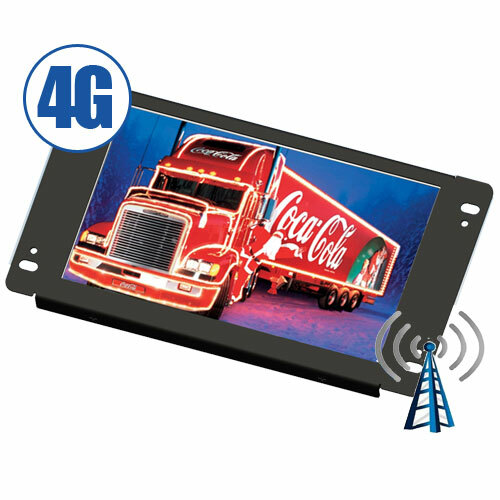 Using the 4Gmobile network, this device can receive targeted advertising video streams straight from a base server PC system to these AD701/4Greceiver monitors. It can be used for simple rolling static advertisements, video loops, or for keeping up to date with local information. Ideal for remote placement where existing hard-wired networks don't reach - like high traffic concourses in shopping centres - they are also incredibly portable, and can even be mounted into purpose built backpacks for on-the-go advertising that will attract attention in the largest of crowds. AD801/4Guses the 4Gmobile network to establish a connection to the home server. Advert videos are uploadable from anywhere to a base PC server, and then they can be beamed to any number of remote AD801/4Gunits automatically. No need to return to base means advertising campaigns are always accurate and can be updated on the fly at any time of day or night. 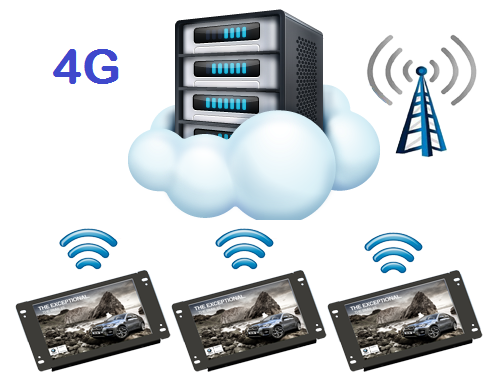 Please note: LAN and 4G variants of the media players require additional software/hardware for a full system. Pricing advertised is for the receiving device only.